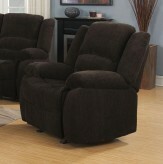 The Hurley Glider is stylish and ultra comfortable. 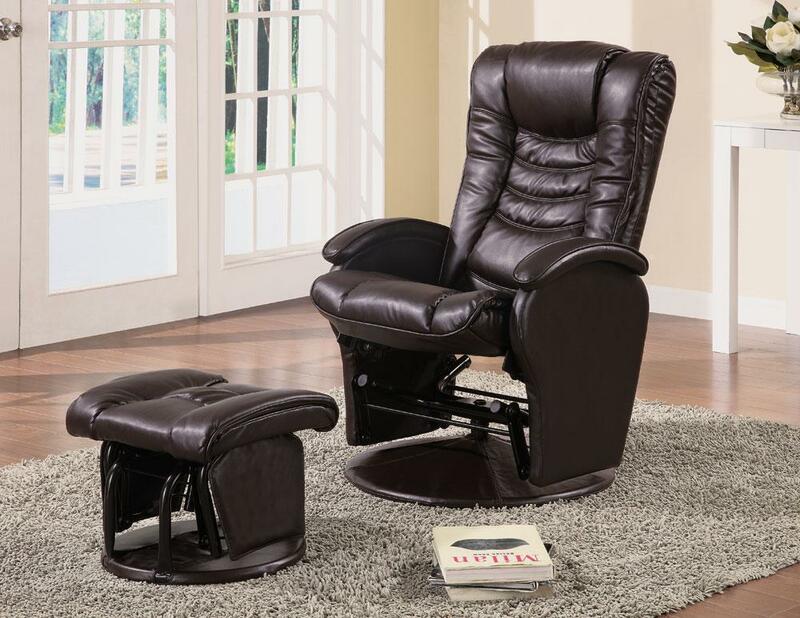 Featuring swivel and reclining motion, glider rocker motion, glider ottoman, plush comfortable cushions and covered in a durable brown faux leather. 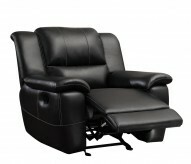 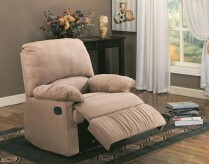 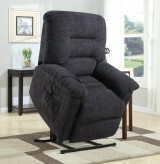 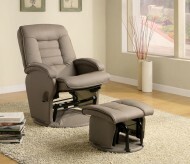 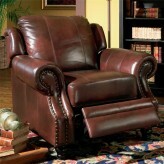 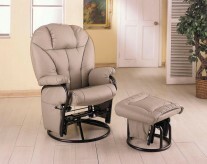 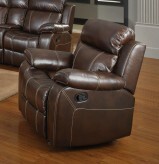 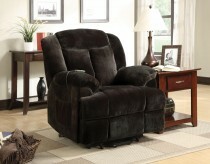 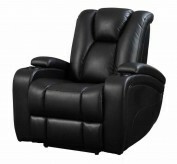 Furniture Nation is proud to offer the Hurley Swivel Glider Recliner With Ottoman online. 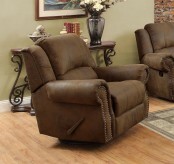 We serve customers across the DFW region including Irving, Richardson, Dallas and many more. 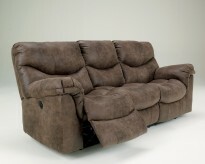 L30.75" x D29" x H43.5"
L19" x D17" x H15"